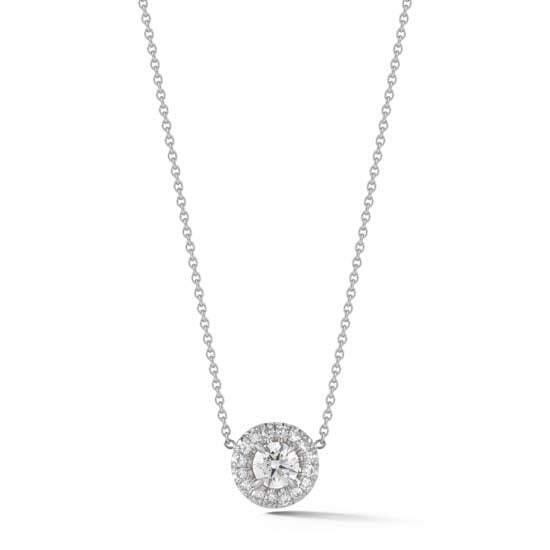 This diamond micro pave pendant features a round brilliant center stone. Available in a variety of carat weights and shapes, each diamond has a unique inscription number. Shown with a 0.20 carat center stone in platinum. Please allow 4-6 weeks for shipping as this necklace is available for custom order only and will ship upon completion. Email [email protected] or call 212-566-8977 for custom orders and price inquiries.